This city was built by Herod the Great right smack dab on the Mediterranean Sea. It is remarkably well preserved and quite a joy to walk through and explore. There was a Prometory Palace that sat right on the edge of the water. 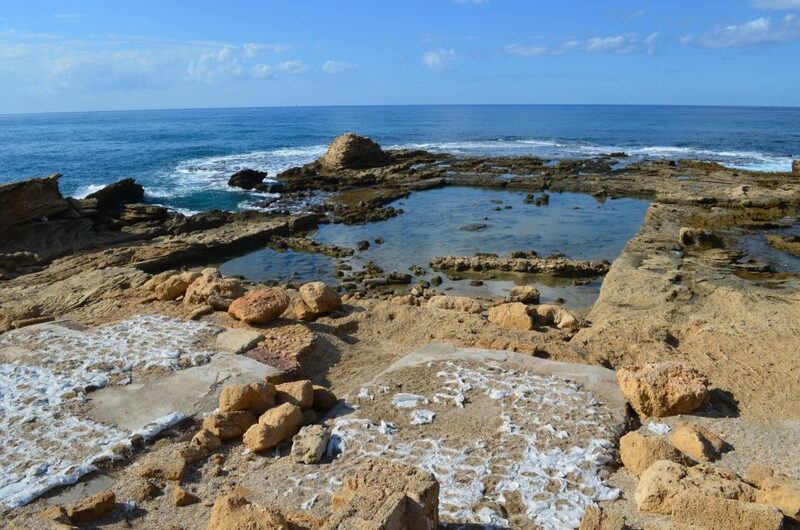 You can still walk through the remains of the Palace and look out over the nearly Olympic sized, fresh water pool that sits in the Mediterranean today, yet you can still see the remains of the pool. There remain the seats from the Hippodrome, where gladiatorial contests occurred as well as chariot races, and the Ancient Theater that seated 3,500 people that still stand. In fact, you can walk through the Theater and sit in the seats looking out toward the Mediterranean Sea. You can sit in the Hippodrome and imagine what it must be like to be a Roman citizen, living in Israel, watching the games that marked the empire for centuries. While you are sitting, look up and ahead to see the Mediterranean shining in the sun. 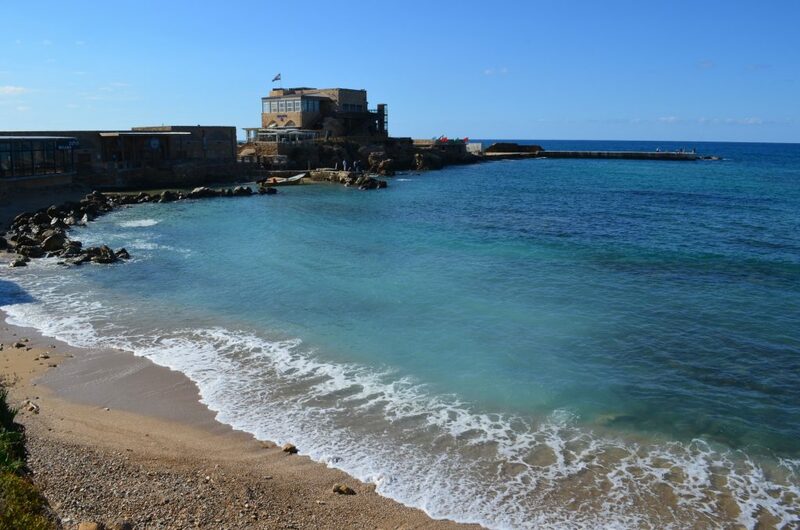 You will want to take your time in Caesarea because there is a lot to see and a lot of history here. Just up the coast are the Aqueducts that supplied water from Mount Carmel to this city, which at one time was home to 120,000 souls. The ancient harbor was built using Roman concrete that would harden under water and was said to have been able to hold more than 300 ships at one time. All of this can be seen during a leisurely stroll from the Theater, to the Palace, to the Hippodrome, to the Harbor. Once you have finished at the Harbor, there is a great ice cream shop waiting for you. Sit down and enjoy a couple of scoops of great ice cream while you listen to the surf pounding on the shores of Israel. As you walk through the sight here is some history to contemplate. This city was dedicated to Augustus Caesar as Herod the Great had backed the wrong horse in the battle to rule Rome and was looking for Augustus’ favor to continue in power. That is where the name came from. Also, Pontius Pilate used this as his summer palace during the time when Jesus was in ministry in Israel. By that time, Herod the Great was dead. Herod Agrippa, the son of Herod the Great would die during a production at the Theater in a very dramatic style. When Peter was called from Jaffa to pray for the Centurion’s family, it was Caesarea where he came. There the Centurion’s family was converted to Christianity and baptized, thus becoming the first gentiles to be baptized into the Christian faith. When Paul first escaped Jerusalem, after his conversion to Christianity, he was brought to Caesarea. Later he was in Caesarea under trial before the Governor Felix and King Agrippa, the son of Herod the Great. The trial ended with the Apostle Paul appealing to Rome and he left Israel through the Harbor in Caesarea to go to Rome from which he would never return. There is some proof that the Nicene Creed may have originated in Caesarea. 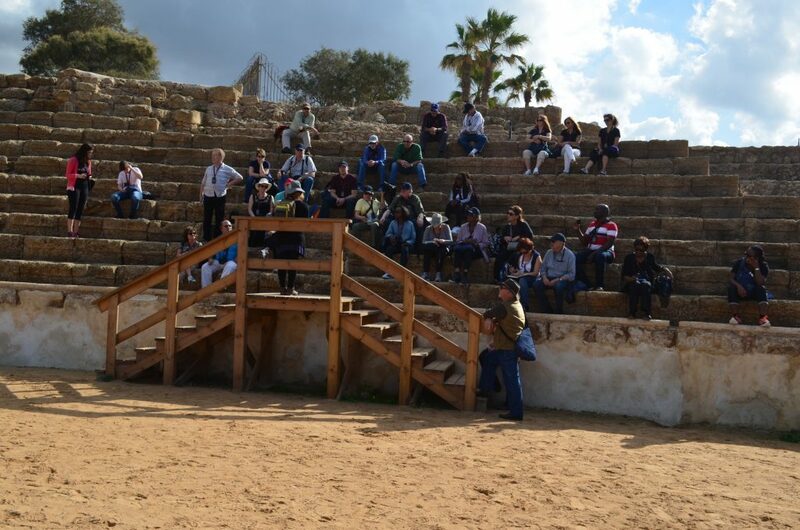 That is just a brief overview of the history that surrounds Caesarea Maritima. It is a rich city that will provide a great moment in any trip to the Holy Land. It is my favorite place in all of Israel. I know you will enjoy it as well.